Shannon Purser discusses her debut role in film, Sierra Burgess Is a Loser, catfishing, and the unrealistic expectations imposed on today's youth. For many, Shannon Purser is still associated with Stranger Things' (Netflix) Barb Holland, the endearing teen that fans are still demanding be raised from the dead two years after her on-screen demise. Yet while fans mourn Barb's untimely demise, Purser has gone on to craft a vibrant life and career beyond the series which gave her that first big break. From her role in the teen drama Riverdale (CW), to her starring role in the feature film Sierra Burgess Is a Loser (2018) Purser has shown that her acclaimed debut role was merely a sign of things to come. What makes an actor? 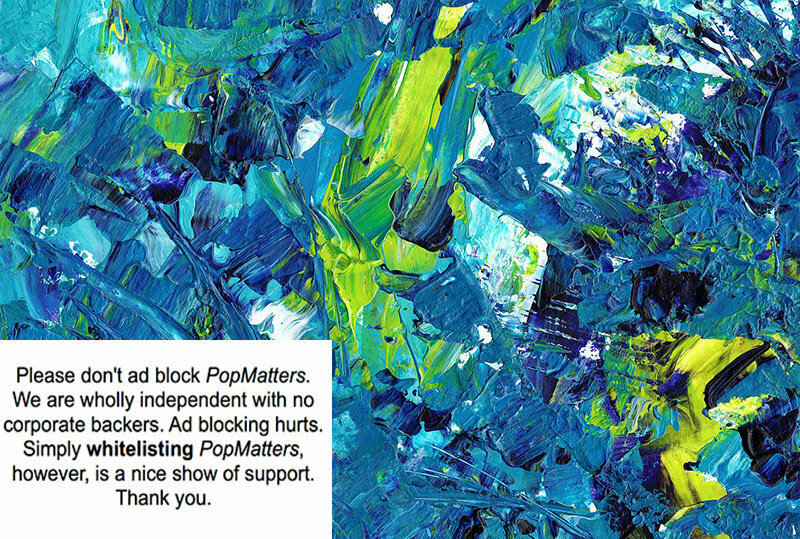 "It was books that got me into acting," Purser tells PopMatters. "When I was a kid I was a huge reader, I always had a book in my hand. I always fantasized about being a character in the books and living out these magical lives. As I got older and started watching more movies and TV, I realized that acting was my way to do that, to be somebody totally different and have these brand new experiences. "Fantasy, sci-fi ... I loved magical storylines, those were my favourite." From there Purser began working in community theatre and school musicals, anything that would let her perform in front of an audience. The act of getting to become a character, replete with costumes and everything that came along with the experience, was irresistible. Her break came with the Netflix sci-fi show Stranger Things, in which her character (Barb) became a cult hero in a way no one had anticipated, especially her. "I was overwhelmed, for sure," she notes of Barb's popularity. "I definitely didn't anticipate that the role would blow up the way that it did. I'm just so thankful for it, because I think that attention really helped me get to where I am now." The place she's at now is an exciting one: her first starring role in a feature-length film. 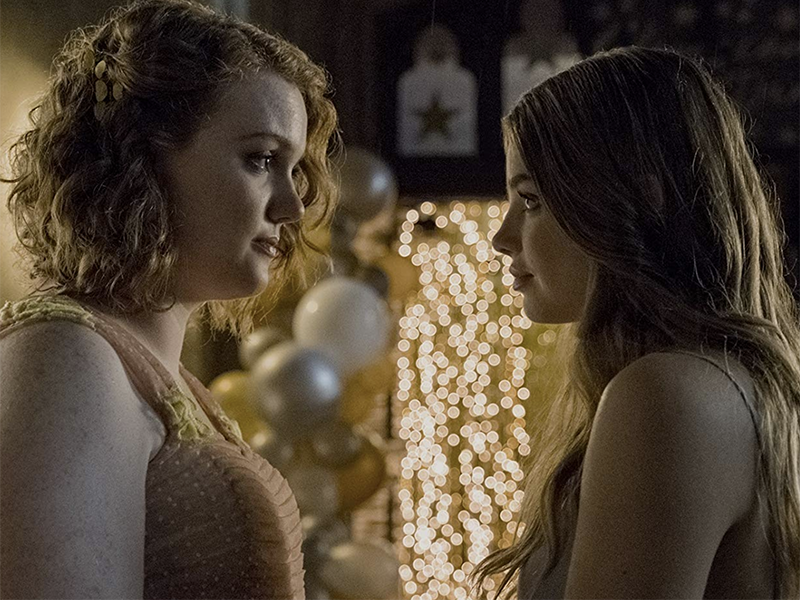 She has an ongoing role in the television series Riverdale (CW) but her role in Ian Samuels' Sierra Burgess Is a Loser (2018) afforded her an opportunity to explore a complex character under the constraints of a feature film production. A sort of modern-day, teen rom-com riff on the Cyrano de Bergerac theme (Cyrano ... Sierra ... get it? ), Sierra Burgess Is a Loser chronicles the misadventures of a high school student who inadvertently winds up 'catfishing'. What Edmond Rostand, author of the original (1897) Cyrano would have thought of a 21st century remake that boils his legendary play down to a matter of catfishing and social media is anyone's guess. Yet the film works, and delightfully so. In no small part, it's due to the talented cast. They include, in addition to Purser, the likes of Chrissy Metz (This Is Us, American Horror Story), Noah Centineo (The Fosters, To All the Boys I've Loved Before), Alan Ruck (Ferris Bueller's Day Off, The Exorcist), Lea Thompson (Back to the Future, Switched at Birth), and more. RJ Cyler delivers a stellar, endearing performance as Sierra's best friend Dan. But it was the complexity of the lead character that attracted Purser to the film. "I really loved Sierra and how unique of a character she was. I didn't feel like she fell into a stereotype, she seemed very original and fresh to me," she reflects. In the original play, Cyrano, a dashing and courageous French soldier with a large and ugly nose, helps another young man, Christian de Neuvilette, woo Cyrano's cousin Roxane. Cyrano is in love with Roxane as well but is convinced she wouldn't love him because of his ugly nose. Roxane is attracted to Christian but the barrier between them is Christian's lack of any intelligent qualities beyond his looks. Cyrano helps their relationship grow by writing Christian's letters to the woman they both love, and by advising Christian on what to say and do. Little does Roxane realize that the letters and words that cause her to fall in love with (and marry) Christian are actually those of Cyrano. Needless to say, this leads to much comedy, and like any good French play, several varieties of tragic ending. 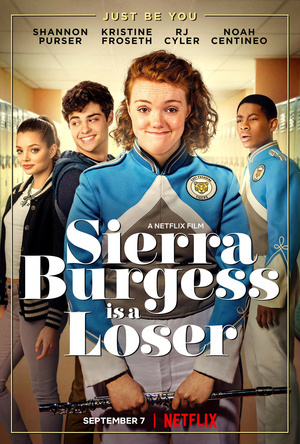 In Sierra Burgess Is a Loser, Sierra's bullies slip Jamey (Noah Centineo) Sierra's phone number, making him think it's the number for Veronica, a beautiful young woman Jamey is attracted to. Jamey and Sierra share text conversations and eventually phone calls; Sierra gradually realizes that Jamey's mistaken her for Veronica, but enjoys the flirtatious attention and continues to deliberately mislead him. She eventually enlists Veronica herself (Kristine Froseth) in the ruse. Needless to say, the truth eventually comes out, but not before plenty of hilarity and a few genuinely heart-warming moments. Despite her social positioning as a sort of outcast, Sierra Burgess is far from a loser, at least when the film opens. She's a confident, intelligent and self-possessed young woman with solid -- albeit few -- friendships. When she's set up by school bullies into the scenario in which she encounters her unknowing suitor, her willing participation in the ruse becomes less plausible as time progresses, but the earnest enthusiasm of her rapidly-crushing character, and the light-hearted playfulness with which the director deploys the full array of contemporary social media tools to spin out the unlikely scenario, makes the film a sustained pleasure to watch, even when it veers into the ridiculous. The entire movie was, remarkably, filmed in only 21 days. "I didn't know [that] was even physically possible," Purser laughs. "We all worked so hard. I was working all day every day. Honestly it felt like a dream when it was over." Beyond its whimsical 21st century interpretation of the Cyrano de Bergerac fantasy, the film also takes the opportunity to grapple with some of the authentic challenges faced by contemporary youth. Predominant among these is the unrealistic expectations faced by youth today. The societal trope which sees older generations complain that younger generations have it easy is, of course, untrue. As characters lament in the film, in order to simply get into a good college, they're expected to not only have top grades, but also professional internships and job experience; extensive community volunteer experience; to have travelled widely and be proficient in a range of extra-curricular and sporting skills; and also have established a reputation as social activists. Purser earnestly affirms it's a reality she and others of her generation have had to contend with. "I do feel like young people feel pressured to be extraordinary in a new way," she says. "Of course everybody is extraordinary in their own special way ... but not everybody has been an activist, or volunteered somewhere incredible, or has perfect scores. So it's a lot of pressure to put on young people. "I feel like social media has exacerbated that," she continues. "We're constantly surrounded by the highlight reel of everybody's lives, everybody is going to all these cool places and having all these extraordinary experiences. I feel like the standard for what is normal is very different now, because everything has been sensationalized." One of the negative consequences of this is that instead of taking the opportunity to experience high school and the many positive and affirming experiences it can offer, students find themselves fixated on pursuing the achievements they feel are necessary to position themselves for future careers. "It's something that I feel every young person goes through, this idea that they're not doing enough, or that they're stuck," she notes. "Definitely when I was in high school I was like, 'What am I doing here, I want to be an actor, instead I'm just stuck at school and I'm not doing anything.' I felt so frustrated. But I think high school is just such a great foundational time for youth to figure out who you are and build good friendships and discover what you're passionate about. You don't have to be the next Einstein. You can just be you, and that's more than good enough." In the 21st century, actors in contemporary period films share the stage with an unlikely co-star: the cell phone. The growing ubiquity of cellphones in our everyday lives is reflected in the necessity to carry this onto the stage or set in order to maintain plausibility. Cellphones are the medium through which social relationships are, increasingly, mediated; without them a contemporary drama would appear odd and unrealistic. It seems as if people don't actually talk to each other any more; they text through their cellphones. The shrinking of social relationships to textually mediated, technologically-facilitated forms has an impact on any attempt to represent reality for entertainment purposes: actors must find ways to act, while faithfully representing the dulled, dampened nature of contemporary social interactions. Ironically, this requires perhaps skilled and thoughtful acting, rather than less; one's co-star is a tiny, silent, expressionless device carried in the palm of one's hand. Sierra Burgess Is A Loser reflects this reality, which director Ian Samuels handles quite capably. The camera remains predominantly on Purser during text conversations; her expressions and facial responses help guide the reader through the intent and meaning of the conversations, which are themselves represented through a combination of textual presentation and cross-cutting footage of both participants in the conversation. The conversations flow, and the reader follows the exchanges with rapt attention, even for the prolonged periods when neither actor is audibly saying anything to the other. "I love that aspect of the film, because it was so relevant to my high school experience," says Purser, reflecting on the ubiquitous presence of cell phone-mediated dialogue in the film. "I had so many important conversations over the phone and over texts and it really does add a new element. It's sort of a barrier in some ways, and also a way for us to present ourselves with more control than talking face to face, and that's sort of what gets Sierra into trouble." What really gets Sierra into trouble, though, is her decision to play along with the ruse rather than coming clean with Jamey once she realizes they've both been had. Purser jokes that sometimes she wished she could talk her character out of the poor choices she makes. Ultimately however she feels Sierra and its Cyrano storyline represent an admittedly over-the-top depiction of a deeper truth: that we all alter ourselves to varying degrees in the hopes of conforming to the images we think others desire to see in us. "She's certainly a flawed character," Purser notes, "and while I don't think, hopefully, many of us have catfished, I think we're all guilty of changing ourselves to please somebody or to be more popular. And even if we're not, we all know the temptations, the insecurities that would lead somebody to do something like this. Sierra is really just an exaggeration of that need to conform in order to be accepted, and how that can get you into more trouble than you might anticipate." The film also complicates the bullying stereotypes which often pervade films about high school youth, showing that even characters matching victim stereotypes can be guilty of bullying themselves. By the end of the film, Sierra makes some poor choices and engages in cyber-bullying herself, as the complicated consequences of her ruse reach their predictable end. "I think that that's very important, I think all these characters subvert expectations for better or for worse," says Purser. "Veronica starts out as the traditional bullying mean girl, and then by the end you sympathize with her and you understand her, whereas Sierra is a feminist and she's this girl you relate to, and at the end she does kind of become the bully because she lets her insecurities and her fears take control of her. She's a complicated character in that way. But I feel that she recognizes the severity of her actions and that's a wake-up call for her, because I think she's always had in her mind that she was the victim and that she was the underdog, and then she had to had to face the fact that she had become the thing that she feared most, and has to redeem herself." Ironically, Kristine Froseth, who delivers a first-rate performance as Veronica -- the character who alternately bullies, and is bulled by, Sierra -- came to be a close and dear friend, says Purser. "...[Froseth] is absolutely incredible, just the sweetest human being and so friendly and warm and welcoming. I think I was a bit surprised by her, but she's a really great friend to me now." Stranger Things, which gave Purser her first real break, garnered notoriety and audience outrage when it sent her character to its demise. And the original Cyrano de Bergerac also had a notoriously not-so-happy ending. Will Purser finally get a happy ending in Sierra Burgess is a Loser? You'll have to watch the film to find out.